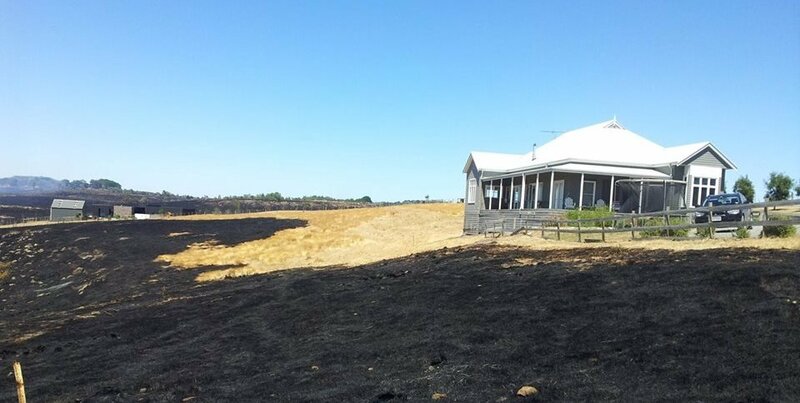 You need to prepare your property against the threat of bush fires or ember attacks regardless whether your choice to leave early or stay and defend your property. • If your home is well prepared it is more likely to survive a bush fire or ember attack. • A well prepared home can be easier for you and firefighters to defend. • If your home is well prepared it is less likely to put your neighbours’ homes at risk. • If a fire threatens unexpectedly and you have no choice but to stay and take shelter, a well prepared home will give you more protection. • Cut back any overhanging trees or shrubs and dispose of cuttings appropriately. • Check the condition of your roof and replace any damaged or missing tiles. • Non-combustible fences are the most effective at withstanding the intense heat generated by a bush fire. • Clean leaves from the roof, gutters and downpipes and fit leaf guard protection. • Store wood piles well away from the house and keep them covered. • Keep grass cut short and do not store garden mulch near the home. • Make sure the pressure relief valve on LPG cylinders face outwards (so a flame wouldn’t be directed towards the house). • Ensure you have a hose that is long enough to reach every part of the home. • Do not store any flammable items near the home, if possible use proper storage designed for flammable products. • Install metal flywire or solid screens to the outside windows and doors. • Have a non-combustible doormat. • Check the condition of external walls, cladding and Seal any gaps that you may have on your external walls, especially on wooden and cladded homes. • Check all smoke alarms work and any fire extinguishers that you may have are in good working order. During a bush fire many houses are destroyed as a result of ember attacks. The embers from burning twigs and leaves are carried by the wind and land on or around the house. Ember attacks can affect houses that are not even the direct path of the fire. You can prevent a fire from occurring by searching for the places where a fire could start and taking precautionary action, these places are typically on the roof, the gutters, on and under the floor, around windows and doors. You should always maintain an adequate level of home and contents insurance. Whether you decide to stay and defend, or evacuate when a bushfire threatens, it is recommend that you have a survival kit prepared and some form of fire fighting equipment. View the Bushfire Store’s full range of Fire Fighting Units and Equipment Here. Blog Page. How to prepare your property and survive a bushfire. Should You Stay and Defend Against A Bushfire ? During a bushfire the survival of you and your family is the highest priority. While things such as buildings and belongings can be replaced, lives can’t be. When a fire starts, put your Bush Fire Survival Plan into action. What you should do depends on a number of factors like your personal circumstances, who’s at home and whether your plan is to leave early or stay and defend. Check out the information below on Leaving Early & Stay and Defend. The safest option during a bush fire is always to leave early. You must decide at what point it is time to leave. The point at which you may decide to leave will depend on your own situation. What triggers this could be a range of things such as a Fire Danger Rating of Catastrophic or Extreme, or a fire in the vicinity of your home. Regardless of what your trigger is, it must be something that happens long before your safety is threatened by a fire. When you leave, you need to make sure you’re going somewhere that is safer. 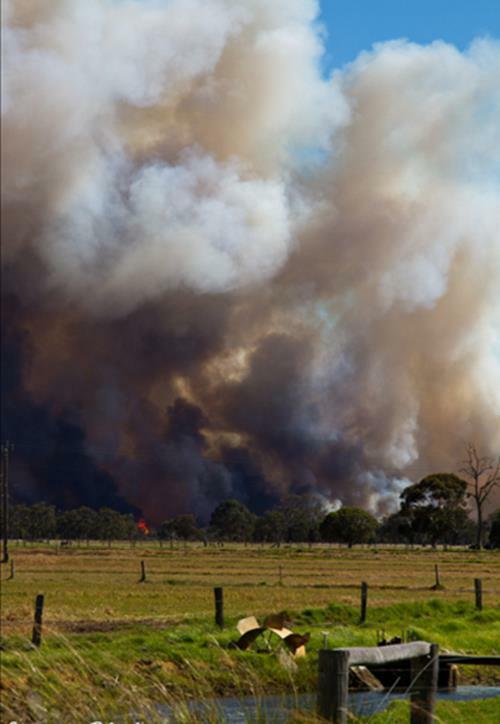 Places you could go might be a friend or relative’s house or a shopping centre away from bushland – which isn’t going to be affected by a fire. Before you decide to Stay and Defend, you should ask yourself if you are prepared and capable. If not, you should leave early. Before the fire impacts, you need to start defending your property. – Ensure you drink plenty of water so you do not dehydrate. – Block your downpipes, (a sock full of sand/soil will help) and fill your gutters with water. – Move flammable items such as outdoor furniture, doormats, hanging baskets away from the house. – Gas cylinders should have the valve facing away from the house. – Do not stand on your roof with your hose. In bush fires, often more people are injured by falling from roofs than suffering burns. – Patrol the outside of your home, putting out any embers and spot fires that may start. An ember or spark can reach your home hours before the fire front arrives. – Just before the fire arrives, wet down timber decks and gardens close to the house. – Move any firefighting equipment to a place where it will not get burnt. – Continue to drink water so you do not dehydrate. – Confine pets to one room. – Close doors, windows, vents, blinds and curtains to prevent flames, smoke and embers from entering. – Put tape across the inside of the windows so they stay in place if they break. – Shut off gas at the meter or bottle. – Move furniture away from windows to prevent any embers that enter the house from igniting. – Fill the bath, sinks and buckets with water for putting out any fires that may start inside. – Place wet towels around window and door edges to stop smoke and embers from entering. When the fire arrives, go inside to protect you from the radiant heat. Ensure you have torches ready as it is likely to become completely dark and you will not be able to see. Shelter in a room that is on the opposite side of the house from the approaching fire – and one that has a clear exit out of the house. Patrol the inside of the home, including the roof space for sparks and embers. Remember – if your life is at risk, call Triple Zero (000) immediately. Once the fire has passed, you may need to patrol your property for hours. Go outside and put out any part of your house which is alight. Check under the house as well as in the roof space. An ember or spark from a fire can impact on a house many hours after the main fire front has passed and small spot fires can quickly get out of control. Research and testing into vehicle survivability in bush fires has shown that sheltering inside a vehicle is a high risk strategy and it is highly unlikely that a person will survive in such circumstances. Whilst sheltering inside a vehicle offers you a slightly higher chance of survival than being caught in the open, having a leave early or stay and defend strategy is a much safer option. If you are confronted with smoke or flames while on the road STOP as soon as it is safe to do so and immediately turn on the vehicle’s headlights and hazard warning lights. If you do need to shelter in your vehicle drive your car into a bare, clear area well away from surrounding trees, leaving your headlights and hazard lights on. Turn off the ignition, close all windows and vents then cover yourself with woollen or cotton blankets to protect from the radiant heat and take shelter below the window level. Drink water frequently and stay in the vehicle until the fire has passed. Whether you decide to stay and defend, or evacuate when a bushfire threatens, it is recommend that you have a survival kit prepared and some form of fire fighting equipment. View the Bushfire Store’s full range of Fire Fighting Units and Equipment Here. Blog Page. Should You Stay And Defend Against A Bushfire? Inter Sprayers are designed with top quality materials, giving high performance and reliability for every day professional use. The number one choice for every day spraying. They are simple to use, easy to clean, long lasting and durable. The Inter range are suitable with Herbicides, Pesticides and Fungicides. Check out the picture below to see just how well designed the Inter professional sprayers are. 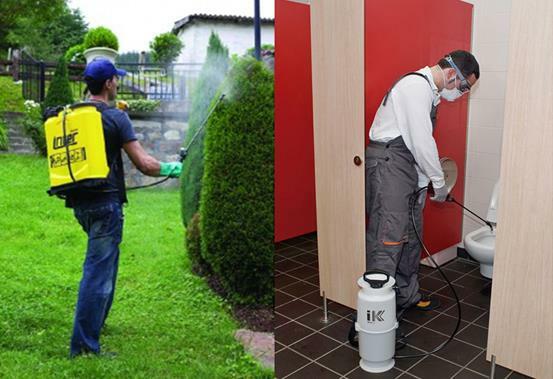 The IK Industrial Elite sprayers are ideal for multiple uses across many industries. They are made of special maximum strength materials for use with a variety of chemicals. The Industrial range are suited for Amenity cleaning, Disinfectants, Degreasing, Carpet cleaning, Brick cleaning, Truck wash and more. The Inter professional sprayers are compatible with Pesticides, Herbicides, Fungicides, Oils, Fuels & Acids. A fire fighting knapsack is a must have piece of fire fighting equipment for any one in a bushfire prone or rural area. A fire fighting knapsack is perfect for controlling low intensity fires such as spot fires and is ideal for use during back burning. 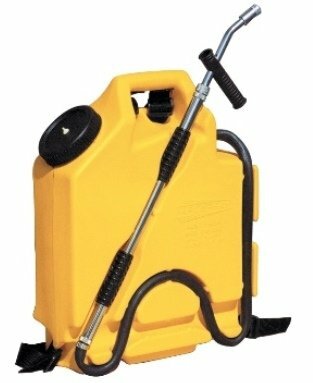 This particular fire fighting knapsack is the Rapid Spray 16 litre fire fighter knapsack. This knapsack has been sold to thousands of Australians. And continues to be one of the Bushfire Store’s top selling fire fighting units. The reasons we have named this fire fighting knapsack as “Australia’s best fire fighting knapsack” is because of its ease of use. It is lightweight but very robust. It is comfortable and has good handle grips on the lance and has a very smooth pump-up motion that uses a double action pumping operation for a fast and continuous flow of water. And most importantly it is extremely reliable. Knapsack units are so popular due to their mobility. They enable the user to maneuver around and over obstacles that many over types of equipment could simply not. 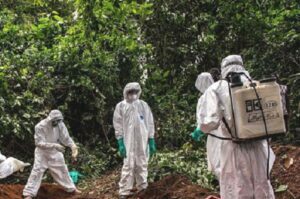 Whilst the Rapid Spray fire fighter knapsack may not be the cheapest on the market, it is in our opinion definitely the best available in the market. And when you think of the reasons that you need a fire fighting knapsack, then only the best is good enough. The Rapid Spray 16 litre fire fighter knapsack is the only Australian made knapsack to come with an Australian 10 year tank warranty. 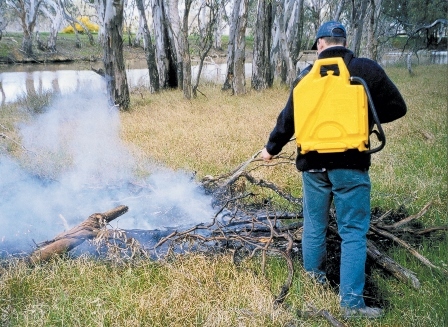 The Bushfire Store has fully tried and tested the Rapid Spray 16 litre fire fighting knapsack. We have given the knapsack a rating 0f 4.5 stars out 5 stars. The product was rated for the quality of its components, its performance, reliability and its value for money. The Rapid Spray 16 litre fire fighter knapsack has a RRP of $298. Buy it today for only $279 & Free Delivery. For more information or to make a purchase, please follow the link below. Australia’s best fire fighting knapsack. -PFK0016L. Today The Bushfire Store is reviewing the Rapid Spray trolley sprayer. We will be breaking the review down into sections. The sections are: Ease of Use, Versatility, Build Quality, Performance and Value for Money. The first thing you need to do is charge the battery for the sprayer. This is a very easy process, simply plug the charger connector into the charging point. Now the sprayer is charged we need to add what ever we are going to be spraying into the large 34 litre tank. The large screw-on lid reduces the chance of spilling whilst filling up the tank. Turning the sprayer on is very simple. All switches are very easily accessible. It also has a remote control for turning the sprayer on or off, which again is very handy while using this towed. The spray lance has two very handy storing points. This is particularly handy if you are using this sprayer towed behind a mower. The spray nozzle is adjustable for spraying a wide or jet pattern, you simply turn the nozzle. The trolley’s handles height can be easily adjusted for when using as a pull along sprayer. The broadcast sprayer nozzle has a easily accessible on/off tap and connecting the tow bar to the sprayer unit is quick and easy. The Rapid Spray trolley sprayer is very versatile. It can be be pulled along or towed behind a ride-on mower. It can be used as a spot sprayer or as broadcast sprayer. The spray lance has an adjustable nozzle for a wide or narrow spray pattern. The build quality on this unit is very good. All the components are of a high quality. The 34 litre tank is made from a tough UV stabilised poly, with a certain amount of flex to resist impact damage. The pump is securely housed behind a shield to prevent any damage. The Rapid Spray trolley sprayer performs excellently. When using as a spot sprayer it is effortless. The unit also performs very well with the boomless nozzle in action. 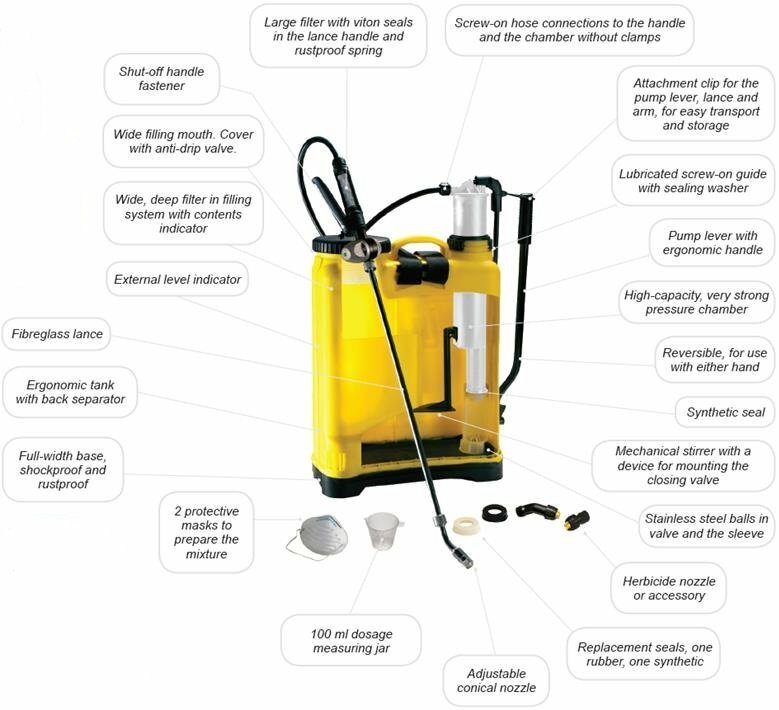 The consistent pressure and flow from the pump provides you with a great sprayer unit. You get 2 hours of continuous spraying from a single charge. The sprayer works well attached to a ride-on mower. It is smooth on a flat lawn, and can also cope with slight rough terrain due to its large diameter wheels. There are many companies selling spot sprayers, and a few companies selling trolley sprayers. We have struggled to find another company that incorporates a spot sprayer on wheels that can be easily pulled along and can also be attached to a ride-on mower and towed behind, plus having a broad cast nozzle for spraying larger areas. The Rapid Spray trolley sprayer is not cheap at $475. But when you combine all of its features. 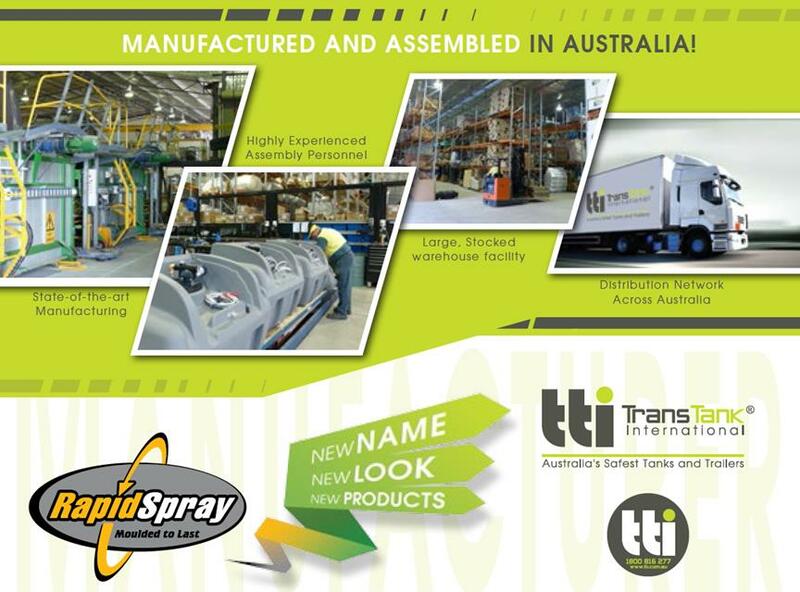 Its ease of use, its high quality build and components, the 12 months Rapid Spray manufacturers warranty, knowing this is a product is from an Australian company who are leaders in the developing and manufacturing of agricultural spraying equipment, then this product really is great value. Watch the video below to see the Rapid Spray Trolley Sprayer in action. ● Strong 34 litre UV stabilised polyethylene tank. ● Adjustable nozzle, spraying up to 1.2 metre wide. ● Large wheels to suit all terrains. ● Pull along or tow behind a ride on mower. ● Reliable 3.8LPM 12V pump. ● Over 2 hours of continuous spraying from a rechargeable battery. ● Easy cleaning with accessible drain bung. ● Full Manufacturers Warranty. ● Rapid Spray Australia product. Crusader Hose Pty Ltd has over 25 years experience in the Australian market and are now a well established company supplying lay flat hose solutions to the Australian and international markets. When you’re buying Crusader Hose, you can be assured that you are purchasing durability and reliability. Crusader Hose Pty Ltd are 100% Australian and have a long and proud history in the Australian lay flat hose market. They understand the technical requirements for local industries and manufacture according to these standards. ● Country Fire Authority (CFA). ● New South Wales Fire Brigade (NSWFB). Crusader Hose’s quality is second to none, their hose conforms to specific industry standards including the Australian Army standard DEF5195A and AS 2792 for fire hose. They are also ISO 9001 certified. The Crusader Hose’s head office and factory are located in Melbourne, Australia. They are connected to country wide distribution network that allows them to supply their lay flat hose in small or large quantities all over Australia. 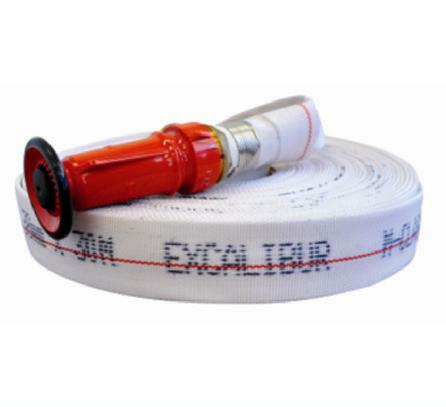 When it comes to protecting your family and property, the Excalibur lay flat fire hose is an excellent choice. It is a popular choice for domestic and commercial fire fighting purposes. The Excalibur lay flat fire hose is a perfect for households and those living in grass fire prone areas.The hose is lightweight and very easy to handle. It can be deployed quickly and anyone can use it.The Excalibur lay flat fire hose is a ready to go Fire Hose Kit. It comes complete with a shut-off nozzle and fitted couplings.The hose is mildew resistant due to its synthetic construction, this also means that it is maintenance free. It can be compactly stored when not in use.The Excalibur lay flat fire hose comes with a 12 month full manufacturers replacement warranty. ● Reliability when you need it most. ● Mildew resistant for long life. ● Easy to handle by anyone. ● Supplied complete with clamps & fittings and shut off nozzle. ● Secure stainless steel clamps. ● Easy operation & maintenance. ● Light weight and quick to deploy. Apart from being an outstanding fire hose, the Excalibur is a versatile hose that is also suitable for many high and low pressure fluid carrying duties. The hose comes in either 25 or 38mm ( 1 or 1.5″) diameter and in lengths of 20 or 30 metres.